Professional Supplement Center now carries Collagen Peptides, a short chain amino acid powdered protein supplement manufactured by Vital Proteins. Sustainably sourced from pasture-raised, grass-fed Brazilian cattle, this product provides 100% pure anti-aging collagen peptides in support of youthful skin, strong bones, reduced joint pain, and deeper, more restorative sleep. 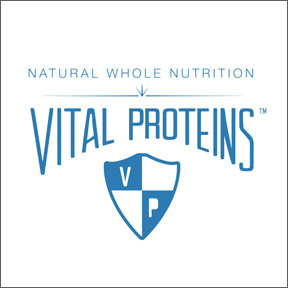 Vital Proteins believes that whole food based nutrition containing collagen is essential for overall health, fitness and wellbeing. Collagen peptides supply amino acids necessary for new production of collagen, the basic building block of skin, hair, nails, bones and joints. Collagen Peptides works from within to enhance the body’s natural beauty and restore the skin’s moisture, as well as improve tone and elasticity to help combat the signs of aging. Soluble in hot or cold liquids, Collagen Peptides may be added to beverages or smoothies or may be mixed into foods such as oatmeal, soups or sauces. Gluten and rBGH free, Non-GMO, 100% pure formulation. Collagen Peptides – Minimally processed without additives or preservatives, this highly digestible collagen peptide formula promotes youthful skin, healthier hair and stronger nails, while supporting a healthy inflammatory response. Collagen Peptides provides a time trusted natural and healthy ingredient often missing in our modern diet. This entry was posted in Home and tagged healthier hair, Professional Supplement Center, stronger nails, Vital Proteins – Collagen Peptides, Vitamins and supplements, www.professionalsupplementcenter.com, youthful skin. Bookmark the permalink.